Trips With Pets To Dallas Made Easy! Travel Guide For Pet Owners! Trips with pets to Dallas is great fun because the Texans know how to do pet friendly right! Pet friendly hospitality is so plentiful in The Lone Star state of Texas, your pet will feel like he or she is part of everyone’s family! All of our trips to Dallas have been filled with adventure, and this time, we’re heading back for more fun with our dog, Max. With so many off-leash dog parks and pet friendly parks, which are all listed on our Dallas Travel Guide you’re dog is sure to get plenty of exercise. Plus, use our guide to find pet friendly hotels, attractions and restaurants to make trips with pets to Dallas a breeze. Redding Trail Dog Park has separate sections for both small dogs and large dogs. In each section, there are drinking fountains for pets along with drinking fountains for people. The trail is beautifully landscaped dotted with comfy benches, so we can relax while Max romps around. 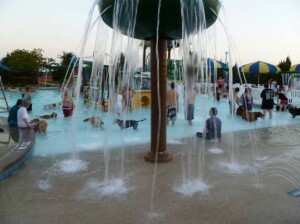 The White Rock Lake Dog Park has an off-leash area where pets can play and also jump in the lake for a swim. As with our last trip, we had such a good time at these parks, we’ll definitely go back so Max can have some outdoor fun. The Dallas Foundation offers a walking tour on a journey of 30 amazing public sculptures in downtown Dallas. Pets are allowed, and we are sure Max will be very interested in these three-dimensional structures. He’s a very curious canine by nature. For a taste of the old west with Max, we’ll be taking a visit to Stockyards National Historic District. The Fort Worth Herd Cattle Drive stroll the streets in the historic district, and there are vistas of the cattle from the sidewalks and outdoor cafes. We’re also taking our pooch for a guided tour of Mule Alley, Cowtown Coliseum and the Livestock Exchange Building. We can all grab a pop at the Buckaroo’s Soda Shoppe. Pet travel in Dallas is cowboy fun. If you’re planning any trips to Dallas with your pet, a visit to Stockyards National Historic District is a must-do. In the downtown area, we plan to take an interesting ride aboard a horse and carriage through Dallas with Party Animals Carriage Rides. One of the stops includes the historical site of the JFK Memorial. Pet travel in Dallas is also an adventure in culinary delights. For a true Texas meal, we’ll be stopping for some mesquite grilled ribs at the Texas Land and Cattle Steakhouse where Max can rest on the outdoor patio. For some French fare, we’ll be stopping at Paris Vendome on McKinney Avenue where Max can dine with us at the outdoor tables. There are plenty of hiking trails in Dallas, from the Trinity Levee Trial to the Fish Trap Lake Park Loop Trail. You can see them all here! 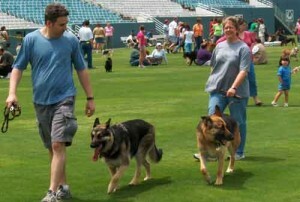 Pet travel and traveling with pets to Dallas is fun for all. For more information on fun things to do if planning any trips with pets to Dallas, you may want to read up on our Travel Tips. This is a good article no matter where you go!